Different species of the genus Populus, also known as poplars, are of great economic importance as major sources of timber, pulp and fiber. Salix species, or willows, have become very important sources of biomass for bioenergy. Both are characterized by their fast-growing trees, being asexually propagated, and having several species growing in riparian areas prone to flooding. 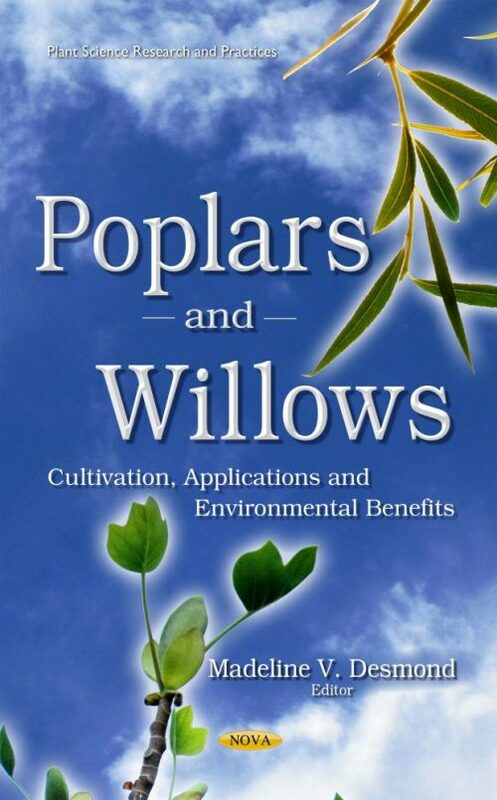 This book studies the cultivation, applications and environmental benefits of poplars and willows. The first chapter begins with a review of the ecological importance and sustainable development of poplar forests in NE China and possible influences on soil properties. Chapter two reviews the properties and practical purposes of willows. Chapter three outlines an experimental project for growing, harvesting, and utilizing willow trees in Japan. Chapter four studies the responses of poplars and willows during flooding. The last chapter examines the application of organic wastes from industry and municipalities at short-rotation willow and poplar plantations.